Ingenico’s iSelf series of unattended payment solutions includes a wide range of devices, from PIN pads to card and contactless readers. They meet the latest security and industry standards, allowing for easy integration of cashless payment acceptance in self-service kiosks. These flexible solutions are suited to many industries: from vending to transport, petrol or retail. 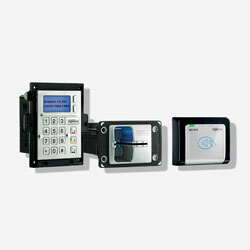 The iSelf series includes modular payment acceptance devices and dedicated accessories to suit all self-service configurations. These modules are flexible, robust and user-friendly. With iSelf, accepting secure electronic payments from unattended self-service locations has never been easier.